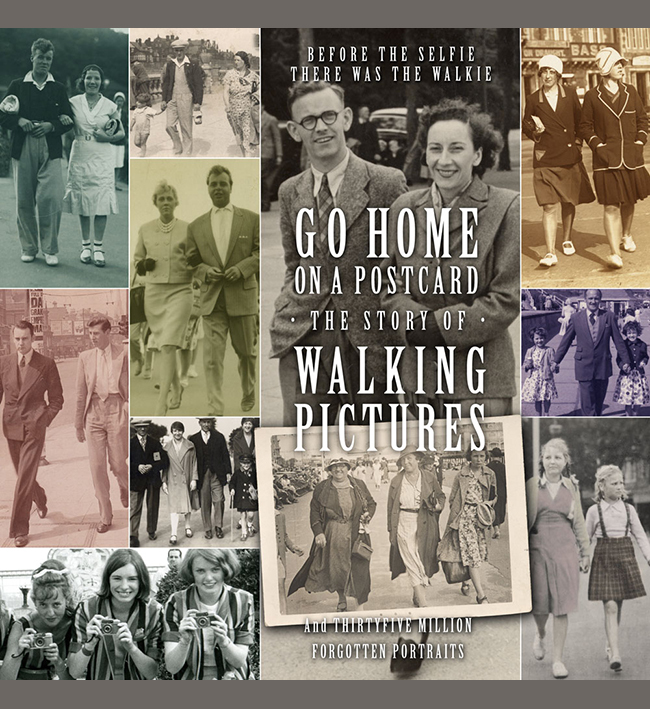 A fairly typical post-War walking picture, but this one is helpfully identified on the back as taken by Turner’s Happy Snaps. Address? “4 doors down from the GPO, Torquay.” The days when you even had a main GPO never mind felt it would be easier to find than your own address… I have not seen many cards by Turners (not to be confused with Turners in Skegness, or Happy Snaps on Guernsey), it’s possible they didn’t stamp them all, and their story is not documented. It looks to date from the early 1950s, and taken on a 35mm camera, but the quality is fine for a relatively small (half postcard size) print. It’s quite a clever place to take walkies too, on the rise giving a good view of the background hill, with Rock Walk through the trees up there. The view is recognisable still today in the photo below despite some dubious modern development. There is nothing on the back to tell us who the people are, it looks to be Mum and Dad with eldest son in tow, nervously fiddling with the hem of his jacket which he has daringly undone!